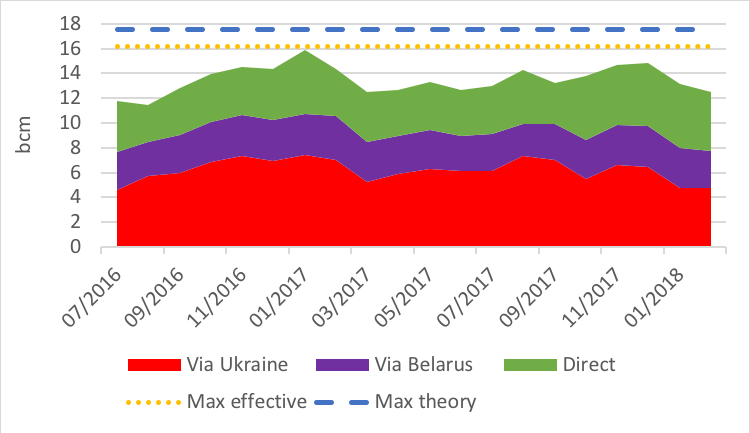 Russian gas demand may be getting priority over exports, given the similarly unseasonal weather in central Russia and Europe. Gazprom supplies to Europe were down in February (-5.2% vs January and -12.9% year on year) even as the cold weather triggered record gas demand. This is perhaps a sign that Gazprom has prioritised Russian customers, who are also facing record cold temperatures, over boosting its exports. Nevertheless, the daily flows did materially increase from 20 February but without reaching the above 0.5bn m³/d reached November 21 last year. With NBP within-day reaching a long-term high March 1 (350 pence/therm; $48/mn Btu) and storage levels now low in Europe, we should expect some rebound in March as lower Russian demand should allow Gazprom to export more to EU. 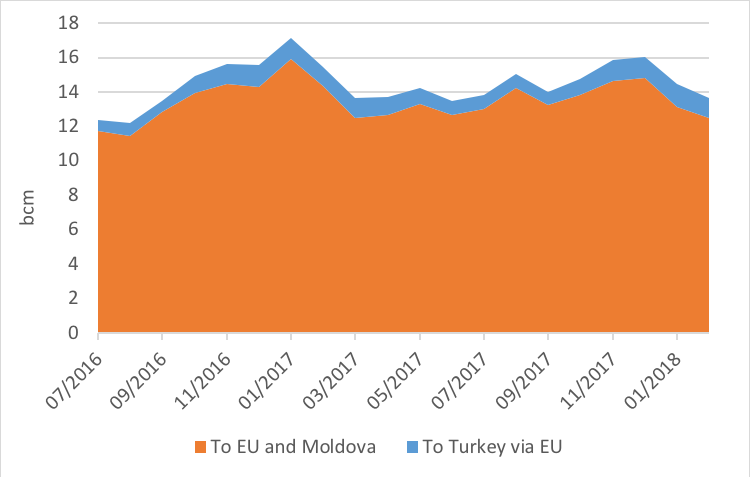 Gazprom did strangely reduce more direct flows (-8.7% M-o-M) then any other flows and even slightly increased its transit via Ukraine (+0.2% month on month).